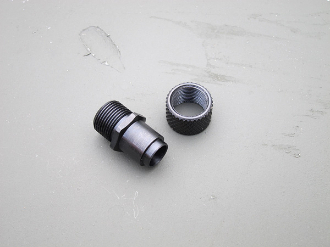 Huntertown Arms offers, bar none, the best priced, highest quality, most functional 22 thread adapters available. 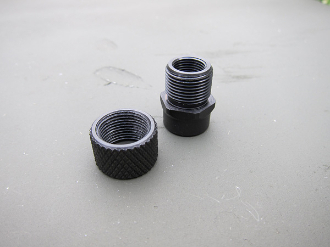 Rather than duplicating the mounting method on your thread protector with a flat shoulder utilizing whatever flimsy tool that came with your host weapon, Huntertown Arms puts a 9/16" hex head shoulder on its adapters. This allows you to install or remove your adapter with tools in your toolbox, not proprietary tools that you've lost or broken. 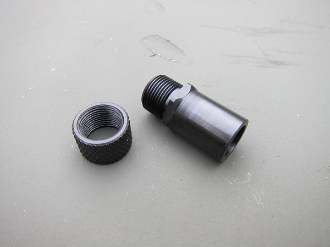 Also, when your adapter gets stuck in your suppressor, a crescent wrench and 9/16 socket are all you need to remove it. 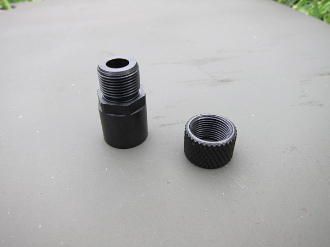 We provide a user friendly solution to mating your suppressor to your .22 host weapon. 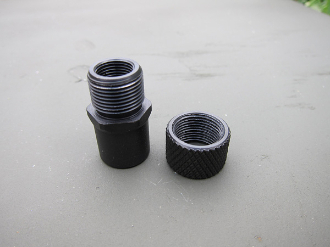 Our adapters are made of stainless steel and black oxide coated to eliminate corrosion and rust.